🏔🏀 WBB RECAP | Tonight, @taylorclaggett redefined what "living at the line" means in @CanadaWest. She set new conference records for free throws made (20) and attempted (24) in a game, but the Alberta Pandas clawed out a 69-61 win. Abbotsford (Dan Kinvig, UFV Athletics) – The Alberta Pandas overcame Taylor Claggett’s record-breaking performance from the free-throw line to edge the UFV Cascades 69-61 in Canada West women’s basketball action on Friday evening. In a relentlessly rugged game at the Envision Financial Athletic Centre, Cascades fourth-year forward Claggett went an astounding 20-for-24 from the charity stripe, setting new Canada West marks for free throws made and attempted on her way to a game-high 30 points. But it was the Pandas, behind 20 points from Jenna Harpe, who emerged victorious. The visitors put together a crucial run late in the third quarter to pull away, and fended off a furious UFV comeback effort down the stretch. The Pandas (3-2) and Cascades (2-3) renew hostilities on Saturday at the EFAC (5 p.m., CanadaWest.tv). The Cascades struggled from the field over the opening 20 minutes – they shot just 3-for-11 in the first quarter, and 0-for-9 in the second. But they stayed in the game thanks to Claggett’s uncanny ability to get to the free throw line – she had 14 attempts from the stripe in the first half, making 12 of them. The Pandas maintained a 32-27 lead at the break. The turnover battle was one of the telling stats of the game, with UFV committing 22 to Alberta’s tidy seven. The Pandas took advantage late in the third quarter, ending the frame on a 14-4 run to take a 55-41 advantage into the fourth. The Cascades mounted a fourth-quarter push with some timely Abby Zawada jump shots supplementing Claggett’s steady inside presence. The hosts drew to within 63-58 with just under two minutes remaining after Zawada knocked down a triple, but the Pandas went 6-for-6 from the free throw line from that juncture to seal the win. Harpe was the lone Alberta player to score in double figures; Brooklyn Legault and Emma Kary posted nine points apiece, and Legault added eight rebounds. Claggett added eight rebounds and four assists to her eye-popping stat line, and Zawada finished with 10 points. Both coaches marveled at Claggett’s free-throw display, which was part of a prolific night from both teams at the foul line. UFV was 28-for-36, and Alberta was 23-for-30. The individual record for made free throws had stood for more than 22 years. Calgary’s Meagan Koch made 19 against Saskatchewan on Jan. 20, 1996. The mark for free throw attempts was even more long-standing. Sask’s Sheryl Kleckner attempted 23 on Jan. 30, 1982 vs. UVic. “I was watching her play, and I’m thinking, ‘That has got to be close to a free throw record,’” Edwards said. “She had a phenomenal night, and she’s a phenomenal player. We’ve obviously got to have a different plan tomorrow with her. 🏔🏀 MBB RECAP | The Cascades struggled shooting the ball tonight, while the Alberta Golden Bears were red-hot. The Alberta Golden Bears were red-hot offensively and airtight defensively on Friday evening, and it all added up to a long night for the University of the Fraser Valley men’s basketball team. The U SPORTS No. 5-ranked Golden Bears shot 54.4 per cent from the field, including a scorching 51.9 per cent (14-for-27) from beyond the arc, on their way to a 99-69 victory over the Cascades at the Envision Financial Athletic Centre. The hosts, meanwhile, struggled with their shooting, hitting just 34.2 per cent of their attempts including 20.7 per cent (6-for-29) from long distance. 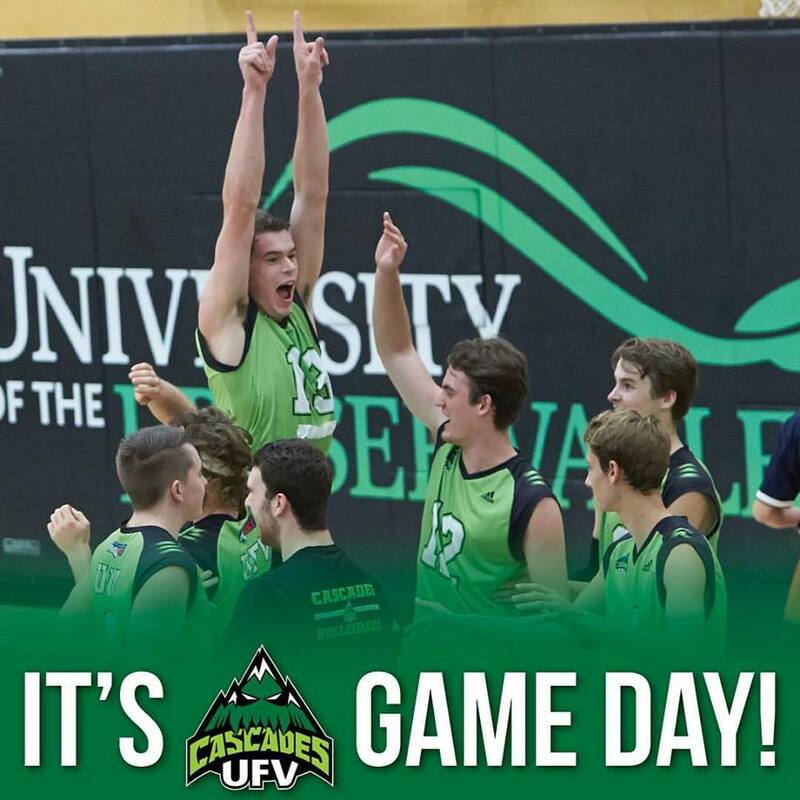 Alberta (3-2) and UFV (1-4) clash again on Saturday evening at the EFAC (7 p.m., CanadaWest.tv). “Alberta is a very good team,” UFV head coach Adam Friesen noted. “If you don’t come out with energy and compete as hard as you need to, stuff like this can happen. We just didn’t compete hard enough and didn’t bring the energy needed, and things kind of snowballed from there. The Bears raced out to a 24-10 lead at the end of the first quarter behind a trio of three-pointers from Ivan Ikomey, and expanded the margin to 50-25 at the half. The deficit proved too much for UFV to overcome. Brody Clarke led the Bears’ balanced attack with 17 points and added nine rebounds. Rookie Adam Paige, a Surrey, B.C. product, posted 14 points and six boards, while Geoffrey James and Brandon Meiklejohn notched 10 points apiece. The Cascades, missing second-leading scorer Sukhjot Bains due to injury, were paced by Vick Toor’s 16 points off the bench. Mark Johnson scored 11 and Andrew Morris had 10. Be the first to comment on "UFV Sports Friday – Tough Night For Basketball Teams"